Electricians London have been servicing the South London area for several years now and have had a lot of success in the area. Here are four reasons you should choose to work with our business. You wouldn’t trust a life-threatening surgery with a surgeon who wasn’t an expert. And you shouldn’t trust your home’s electrical work with an electrician who isn’t an expert. Faulty electrical work can put your home and your entire family at risk. It’s not the type of work that should be given away to the lowest bidder without first gauging their capabilities. You can feel safe letting our electricians on the job because they are experts with the education and training required to be masters in their field. Our company only employs the best in the industry. Each electrician is carefully researched and tested before ever being allowed on the job site. We are certain that we only hire the best electricians which means the best possible job will be done with each client. Unfortunately, we live in a time when not all contractors can be trusted. 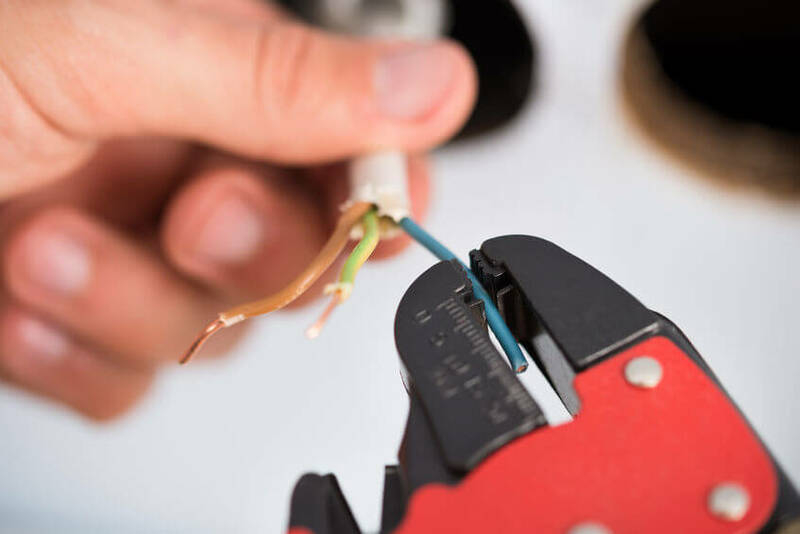 Every year we learn about cases where electricians perform faulty work to save time or add unnecessary expenses to the quote just to make extra money. It’s a sad reality and at times it only seems to get worse. Our electrician company strives to stand apart from the competition by maintaining strong core values of honour and integrity. We stand by the prices that we quote and we stand by the work that we do. We know that if we work honestly with each customer it will only serve to help our business grow. Every decent electrician begins their journey with only education and training, but in time they accumulate experience from working with different clients. Our company hires only those electricians who have worked in the field for some time and have proven themselves time-and-time again. The history of the company reflects these choices. We have many happy clients in South London and we find new happy clients every day. We are more than willing to share references with some of our most recent clients so that you can hear from them exactly what they think of our work. Of course, you don’t only have to take their word for it. You can read through the many testimonials and reviews regarding our company on the internet. You’ll find that the overwhelming majority of our clients have been extremely happy with our work. And whenever a client is not happy, we reach out to them and find out what it is we need to do to rectify the situation. We understand that times are hard and many families struggle to make ends meet. That is why we never take advantage of our clients by charging them more than is necessary. But that doesn’t mean we cut corners or take shortcuts when it comes to our workmanship. We always guarantee to do the best possible work, which means using the best tools, the best materials, and hiring the best electrical contractors. At the same time, we want to offer competitive pricing to our clients as well. We can never guarantee that we’ll be the cheapest option for the job, but you can rest assured that every bit spent with our company is money well spent. That’s a drastic difference compared to many of these contracting companies that are eager to make as much money as possible off of each client. Electricians London are a London-based company and the people of this city are our family. We will treat each job with the same attention to detail as we would a repair for our brother, sister, or mother. There will be no sub-par projects that receive our stamp of approval. Your home’s electrical work should always be a top priority. Don’t postpone those repairs for any longer. Pick up the phone and call our office today to receive a quote. Electricians London have been servicing the London area for several years now and have had a lot of success in the area. Here are four reasons you should choose to work with our business.